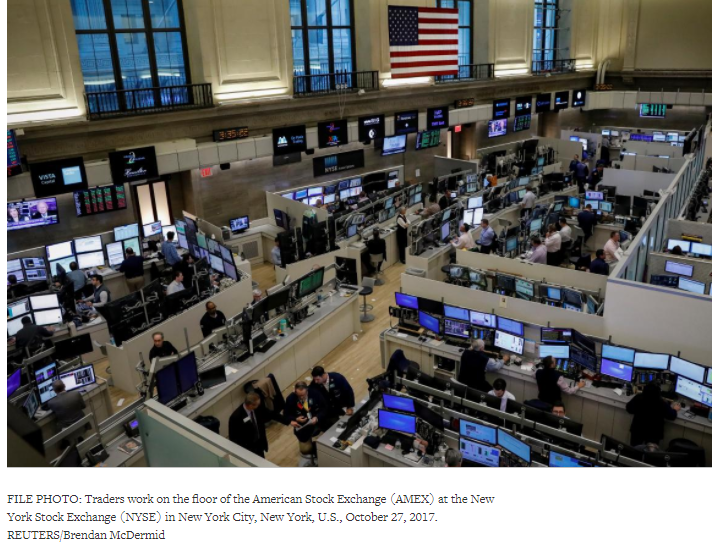 NEW YORK (Reuters) – A growing number of investors are plowing money into commodities, seeking to diversify their holdings on gnawing concerns about a stock market correction as equities scale new highs almost daily. Low interest rates, solid economic growth across the globe and rising corporate earnings have hoisted the S&P 500 .SPX 16 percent this year. It reached an all-time high on Tuesday. By contrast the bellwether S&P Goldman Sachs Commodity Index (GSCI) .SPGSCI gained 7 percent in that same period. The last five years presents an even starker divergence. The S&P has gained 82 percent in that time, while the GSCI has dropped by 34 percent. That may start to shift, portfolio managers and investment advisors say. Strong demand in markets like oil and copper, along with tightening supply, is shifting the fundamental outlook, boosting commodity flows. Oil prices recently hit a two-and-a-half-year high, while copper hit a three-year high. While commodity markets pale in size to equities and fixed income, a notable shift toward the asset class could help validate the concerns of those who believe stocks have become overvalued. “We’ve been through a terrible bear market in commodities and equities have been in a tremendous bull market. Both are likely to change,” said Roland Morris, portfolio manager and commodity strategist at VanEck Global, an investment manager in New York. In the past week, a net $324 million has flowed into funds that invest in a broad basket of commodities, Thomson Reuters data shows. In August, flows into commodity mutual funds and exchange traded funds (ETFs) hit $2.1 billion, the highest in more than six years. However, flows into commodities were patchy in September and October, and the $3.8 billion in net inflows this year through October pales in comparison to $6.5 billion for the same period in 2016. Commodity prices steadied after sinking to multi-year lows in 2016, but supply gluts in energy and grains markets have prevented heavily traded commodities from keeping up with stocks. The spread between the indices such as the GSCI, or the Thomson Reuters/CoreCommodity CRB Index .TRJCRB, and the S&P 500 are at or near their widest on record. Commodities, unlike equities, can be expensive to hold for long periods of time, if future-dated prices are higher than current ones. That has exaggerated the spread between commodities and equities, Morris said, as passive investors in commodities lose money when the managers of commodity indices sell cheaper contracts as they come due for physical delivery, then buy costlier futures. As one example, even though the spot U.S. crude oil futures contract CLc1 has gained nearly 6 percent this year, the United States Oil ETF (USO), which mimics that contract’s daily moves, is down 2.8 percent, in the same period of time. Over the last few months, later-dated Brent crude prices have fallen below the spot oil price, so now when passive funds sell expiring contracts to buy fresh ones, they make money, rather than lose it. “The returns (from commodities) since mid-summer have been high … oil right now has a positive roll yield for the first time in a few years,” said Greg Sharenow, portfolio manager at PIMCO, who helps manage more than $3 billion in assets. Historically, such a move has been an indicator of future gains and that has, in part, led to increased interest in commodities, Sharenow said. Benchmark Brent and U.S. crude fell to the lowest levels in more than a decade in 2016 and have recovered sharply in recent weeks, boosting commodity indices, where oil often carries the greatest weight. “Brent (crude) has already broken through the psychological barrier of $60 a barrel and if (U.S. crude) can get to $60 as well, it could spur even further investor interest,” said Matt Sallee, portfolio manager at Tortoise Capital Advisors. There has been rising interest in recent months from funds in livestock and metals, said Chip Whalen, vice president of education and research at Commodity and Ingredient Hedging LLC, a commodity trading advisor in Chicago. Industrial metals and livestock have this year fetched the highest returns within the S&P GSCI Enhanced Commodity Index, which reflects yields to investors, according to Goldman Sachs. The bank forecasts returns of 1.2 percent for three months, 3.2 percent over the next six months and 3.6 percent for 12 months from the index.